Sometimes I can be such a noggin. I tapped in and out, then in and out, of Twitter to follow a live winetasting organised by the Wine Society and I hunted in vain. Those wine tasting vibes were taking place elsewhere in the ether, on the society’s website community pages. There, people were chatting about two wines with a barbecue theme. So it was that I was Billy No Mates tasting wine on my own, unaware the communal fun was happening elsewhere. One of the two wine choices was a pink – spot on for this theme of rosé wines. If I can’t tempt you with some garden-gorgeous pinks in the middle of June, then when can I tempt you? The rosé wine taste-tested in the digital world was Rosé Duo des Plages 2017 (£6.75, The Wine Society, 12% abv) of which one keen taster said “the strawberries and melon on the nose shape-shift into something more creamy and peachy in the mouth, surprisingly rounded on the finish”. What a perfect description! I’ll simply add that I picked up nectarines and a slice of lemon on the nose, with a dry, fruity finish and a good watering of acidity. La Vieille Ferme Rosé (£7.49, The Co-op, 12.5%) is prettily peachy and pink perfection. This rosé is a pale blush colour and hails from the southern Rhone, with the grapes grenache, syrah and cinsault all playing their part in creating a fresh, enjoyable wine with a hint of redcurrants. Casillero del Diablo Rosé 2017 (£8,50, Tesco, Asda, 13% abv) You’ll probably be familiar with this brand but this is a new light style of rosé wine from the Chilean team. The blend is mainly syrah, with cinsault and carmenere, and the style is dry and elegant, with red fruits and a peppery edge. La Terrasse Rosé Pays D’Oc (£10, Sainsbury, 13% abv) I love the classy glass stopper on this southern French pink, which is another blend of three grapes: Grenache, syrah and cinsault. The very best of the grape juices create the wine which then sits on its lees for 40 days. It is deliciously fresh, crisp and vibrant with red fruits and a flash of citrus. If sparkling rosé wines are your thing (ooo, yes please) then look out for Mirabeau en Provence La Folie Rosé (reduced to £10.49 from £13.99 at Waitrose until August 7) which has gentle and refreshing notes of strawberry, raspberry and blackcurrant. If you want a day away from alcohol (or maybe you’re a nominated driver) then McGuigan Wines has created a dealcoholised pink wine McGuigan Delight Rosé (RRP £5, Marks & Spencer) which is pleasantly perfumed, has sweet notes of forest fruits and is ever so lightly spritzy. It’s only fair to mention the second barbecue wine which appeared on the Wine Society’s live winetasting: Nero d’Avola La Ferla, Sicilia 2016 (£6.95, 13.5% abv). One keen taster described it as having notes of “cherry cola” and another praised its “black cherries, plum and liquorice”. I’d say it is ripe with black fruits, spice and blackcurrant jam. I bet it would be brilliant with a burnt, barbecued chipolata. If you’ve been paying attention you’ll know that I had a fabulous visit to Domaines Paul Mas in the lusciously beautiful Languedoc. I was thrilled to meet the creative driving force behind the wine brand, the unstoppable dynamo who is Jean-Claude Mas. A few of us shared a winetasting with him and as we tasted and chatted I asked him to select two of his wine creations he’d personally want to sip at home. The Elegant Frog (£7.50, Sainsbury) is 100% viognier and is waxy and creamy with apricot and orange peel notes. The viognier comes from the Middle Aude valley in the Languedoc and a small part of the blend is fermented and aged in oak barrels. 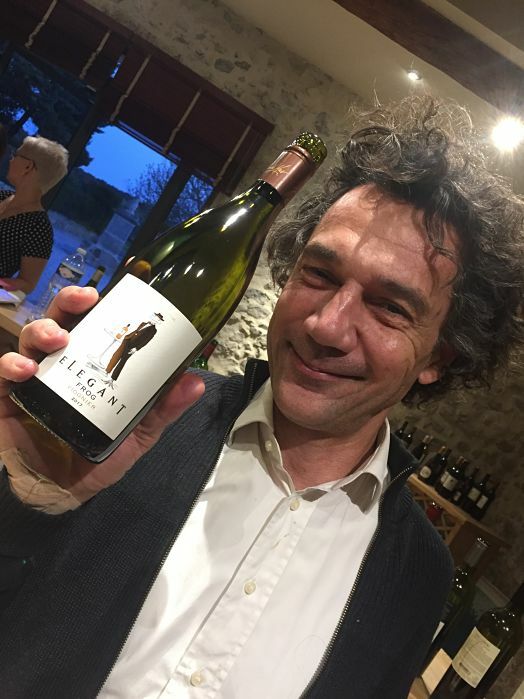 Exquisite Collection Marsanne 2017 (£5.99, Aldi, 13% abv) Jean-Claude Mas has worked hard to elevate the grape marsanne, traditionally blended with roussanne in the Rhone. Here it is so very juicy (and very drinkable). This wine has notes of pear, quince, honey and a floral flutter of honeysuckle rises just above the glass. The other week I gave a nod to the Co-op’s Irresistible Marsanne (£7.99) and I’ll mention it again as its honey, peachy and nutty notes have just won silver at the International Wine Challenge. A couple of days ago I was in the Co-op and spotted the distinctive label of Silene Limoux Chardonnay (£9.99) which is lush with buttery notes, butterscotch and pineapple and is super-fresh and fruity. I’d sipped it during that winetasting afternoon with Jean-Claude and then, right there in the shop, I wanted to tell customers how delicious it is. But no-one looked my way. Until I dropped a tin of tomatoes but that’s not relevant here. I later shared the wine at one of my winetasting evenings with girlies and they enjoyed it too. 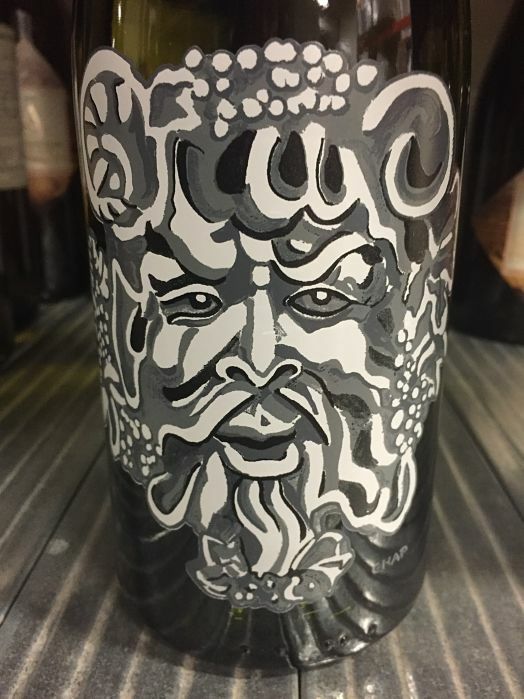 I thought the classical face on the bottle was that of Bacchus, the ancient god of wine and fertility but I’ve been put right on that. The label is based on a fragment of sculpture unearthed in the vineyard (now known as Silene) next to the winery. Paul Mas Vinus Frisante (£10, Morrison’s, 12% abv) You’ve just got to love a drop of fizz. This wine is a blend of 55% picpoul and 45% chardonnay. 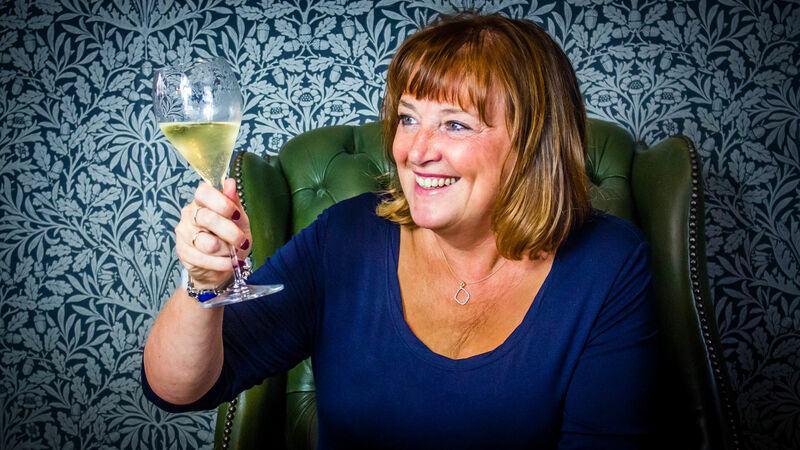 Sparkling wines from the Languedoc are growing in popularity and here the local picpoul – which I think has the nickname “lipstinger” – adds a good bite to the blend with the chardonnay adding body and structure. There’s plenty of green apples and a good citrussy zest. It won a best value sparkling trophy at the London Wine Fair and I loved it so much I’ve used in a wine night and it produced several oohs and aahs. 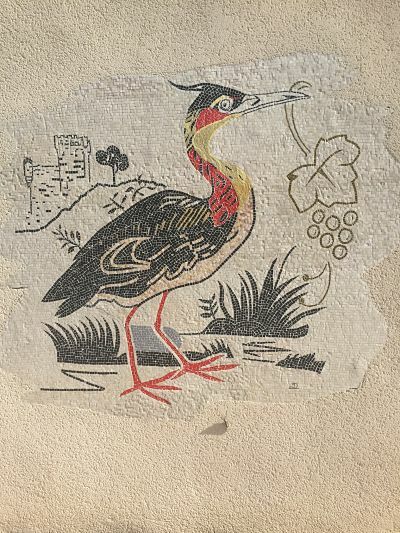 The wine is so-called because Vinus, the heron, is the emblem of Domaines Paul Mas; and here’s my photograph of the rather beautiful image on a wall at Côté Mas, the heart of Jean-Claude’s business in Pézenas. Domaine Paul Mas Estate Marsanne (£10.99, or £8.99 in a buy six deal, Majestic, 13% abv) This is a classic from the Paul Mas stable, with grapes grown on the limestone and clay soils of the Limoux and Carcassonne areas, blended with wine from grapes from the warmer area of Hérault. It has aromas of lemon and peach, with floral wisps of blossom and honeysuckle. It has a touch of creaminess in the mouth, where honey, peach and lemon, all play their part. Domaines Paul Mas Vinus Clairette du Languedoc (£8, Morrison’s, 12% abv) This wine hails from the smallest but also the oldest appellation in the Languedoc which was created in 1948. The grape itself is one of the oldest in the region. It has traditionally been used as a blending grape but here it flies solo and very nicely too. It has a nose of ripe red apples, springtime flowers and peach; in the mouth flavours of citrus and apple cradle a mouthwatering acidity. Domaines Paul Mas Reserve Languedoc Blanc (Waitrose, £9.39, 13% abv) The wine is a blend of 40% grenache blanc with marsanne, vermentino and viognier having an equal remaining share. Some of the blend has had oak contact which brings complex notes. The wine has aromas of vanilla, pineapple and apricots; and what’s this? A touch of cinnamon? Perhaps. Those fruits can be found as soft mouth-filling flavours too. I must add another fizz Paul Mas Prima Perla Grand Reserve Chardonnay (£10.99, in a buy six at Majestic) which displays stone fruits, vanilla and toasty notes and is a moreish delight. I tasted it at Domaines de Martinolles where winemaker Bastien Lalauze creates it under his watchful eye. He’s in his early 30s and simply has a dream job producing sparkling wines with Jean-Claude Mas. I’m jealous. Oh, before I go, what is Jean-Claude’s drink-at-home red recommendation? 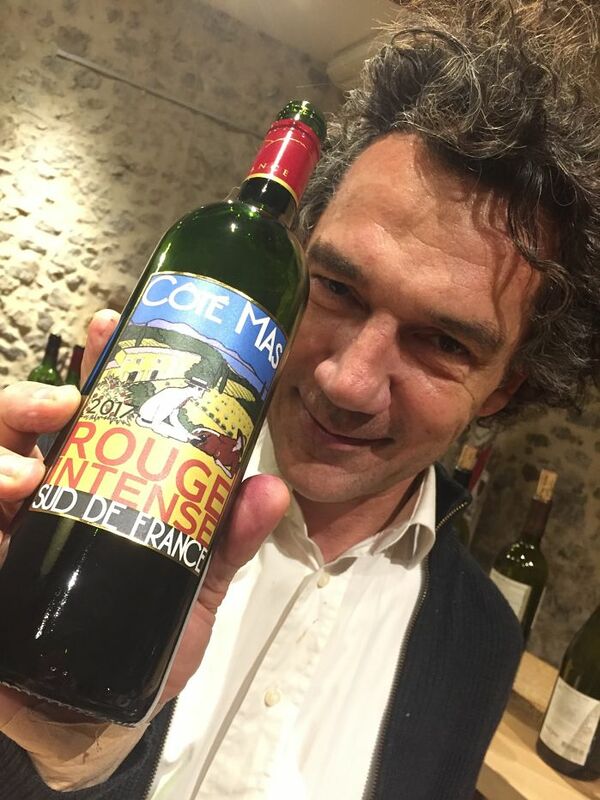 It is this one – Côté Mas Rouge (£7.99 or £6.99 in a buy six deal at Majestic) – just think intense, fruity, blackberry jam!